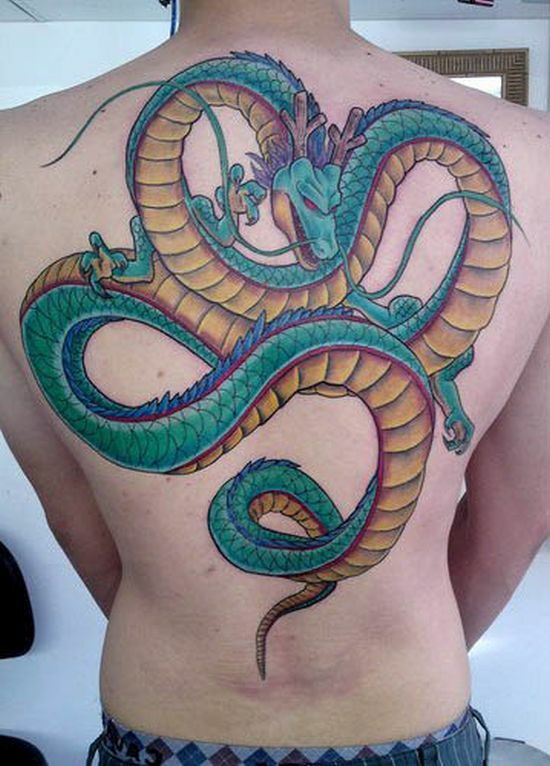 Dragon tattoos attract both men and women as these are generally inked in bright colours and are revered for their spiritual significance. 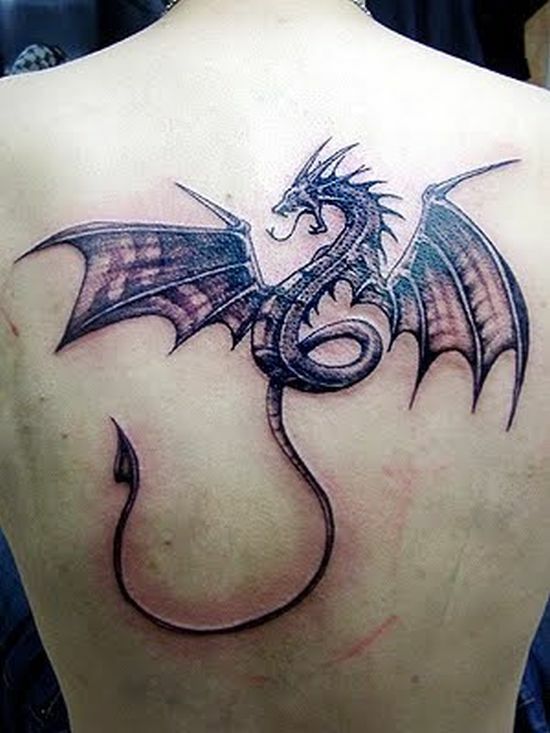 Dragons are mystical creatures and symbolize raw power and fearlessness. 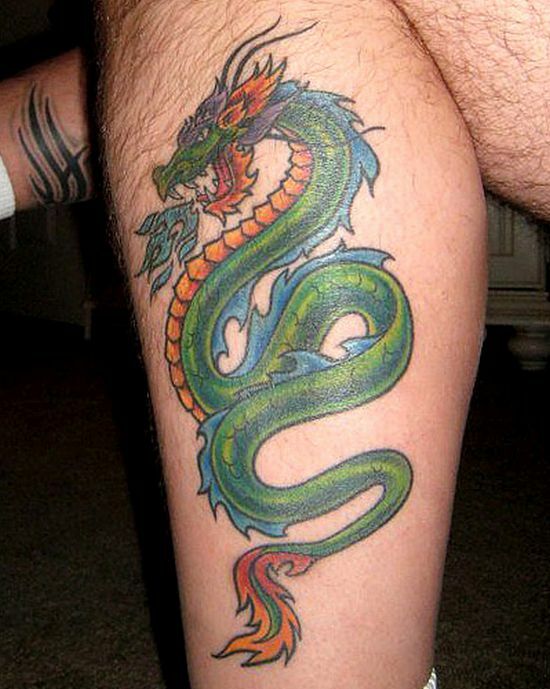 Many people, from different ethnic backgrounds hold a special regard for this magnificent creature that is known to possess both good and evil qualities. 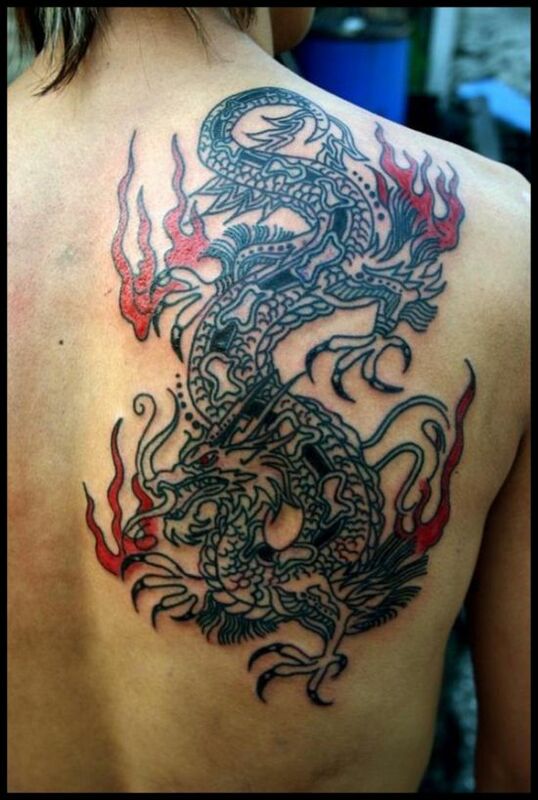 A dragon also symbolizes wisdom which in turn motivates many men to get this awesome creature inked on their bodies. 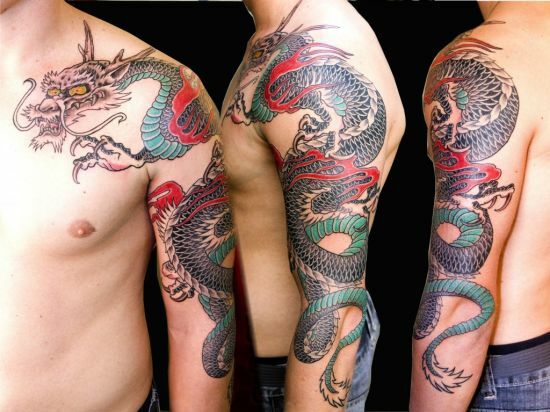 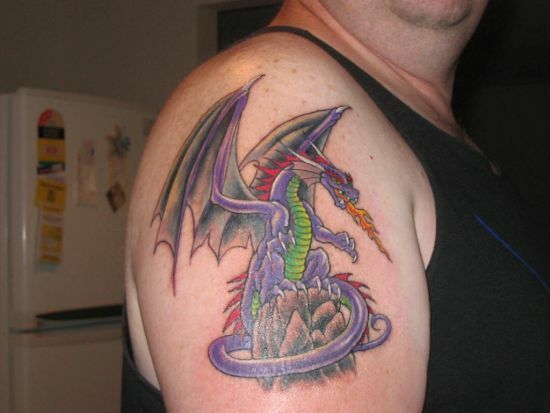 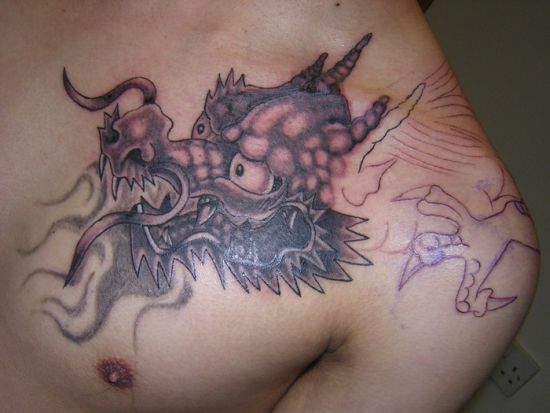 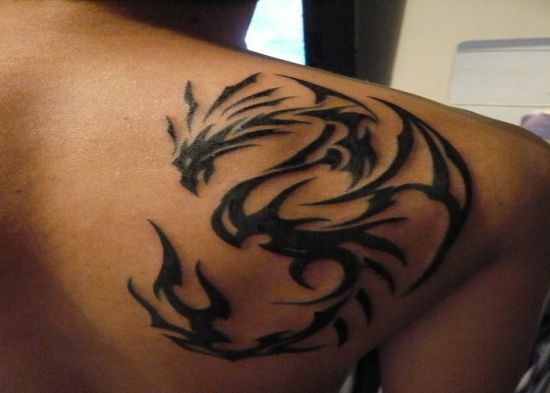 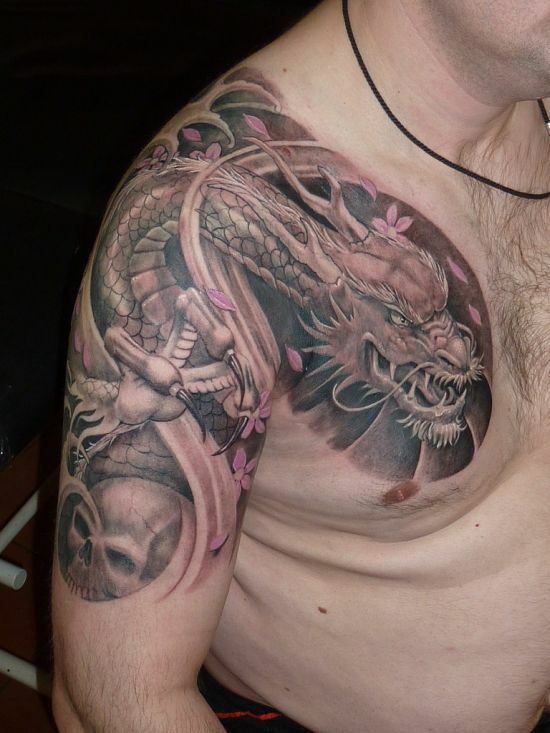 Considered very attractive in appearance, dragon tattoo designs are one of the most popular tattoo motifs desired by men. 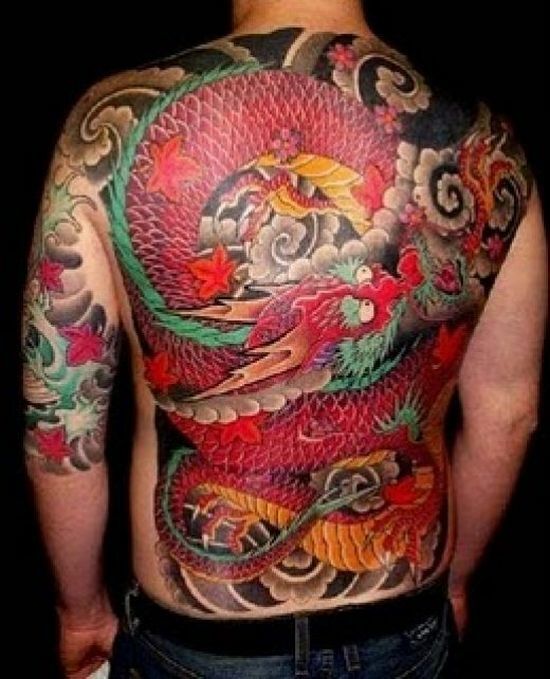 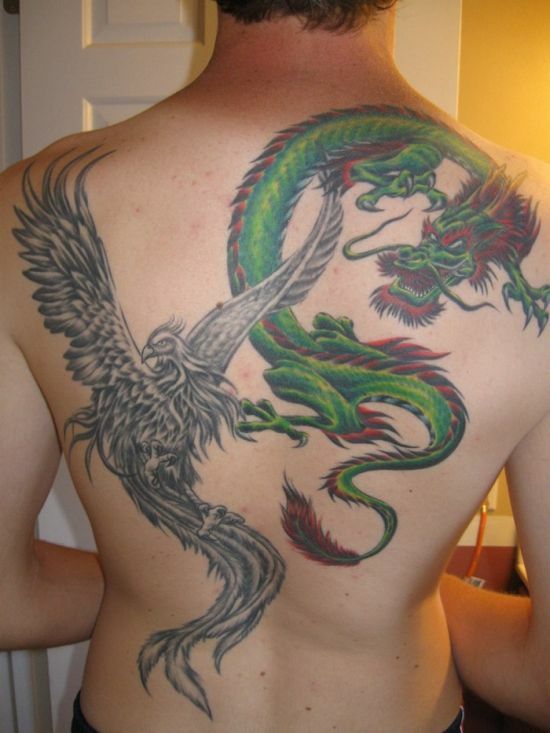 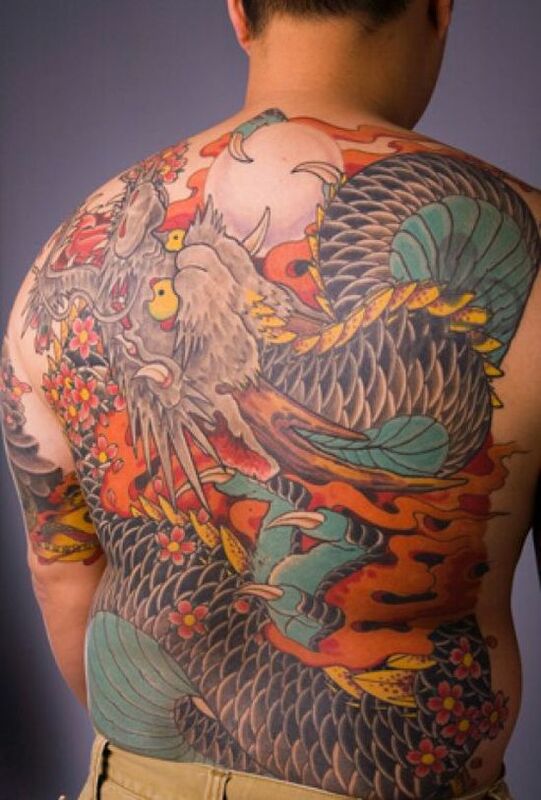 Among hundreds of tattoos for men, the dragon tattoos are perhaps the most colorful and huge, covering the entire length and breadth of a man’s back. 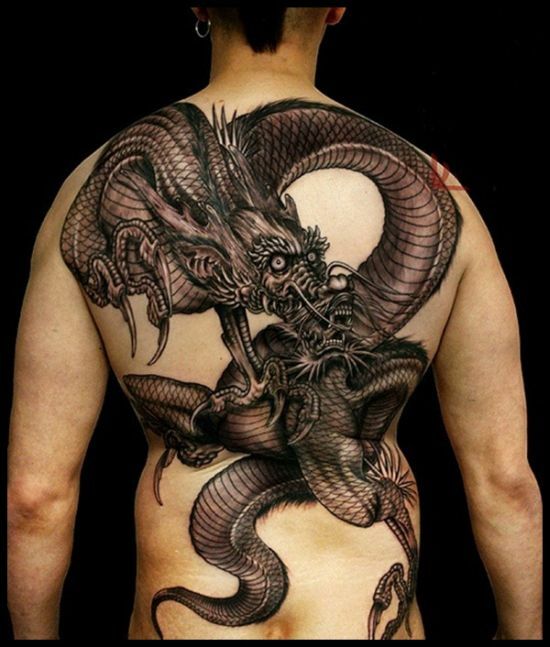 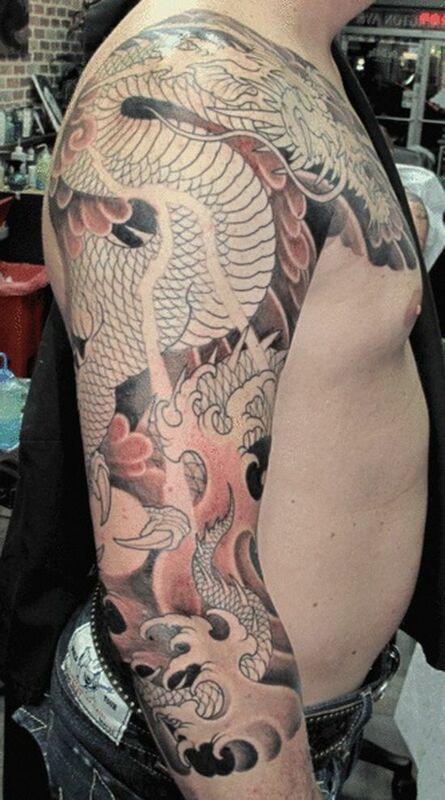 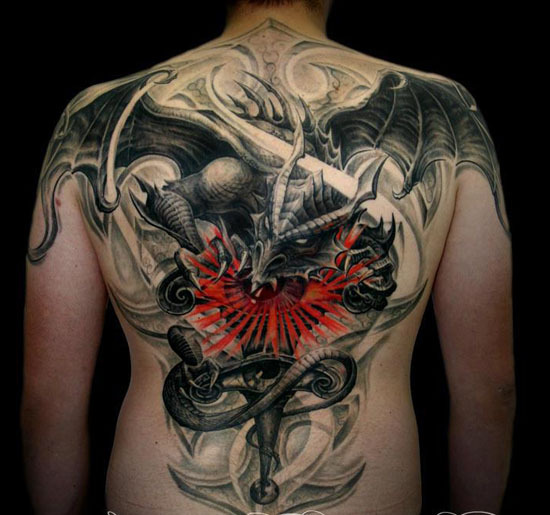 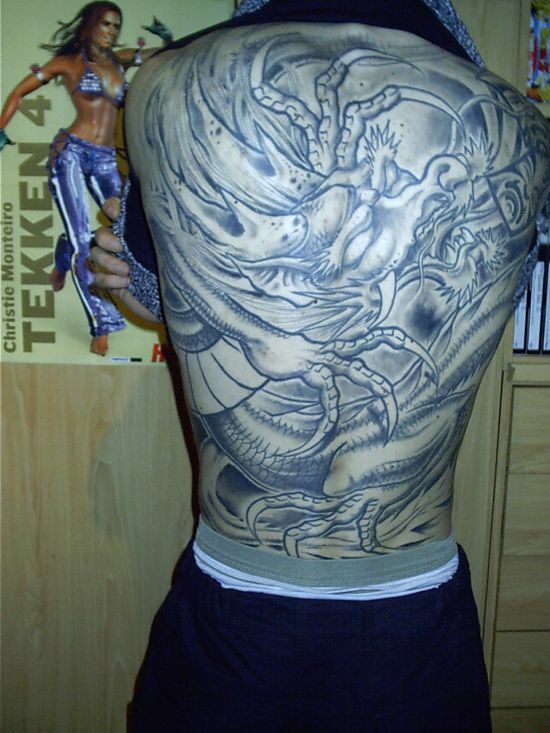 The back is one of the most favored places for getting dragon motifs inked as one can play with various themes and patterns that require a large space. 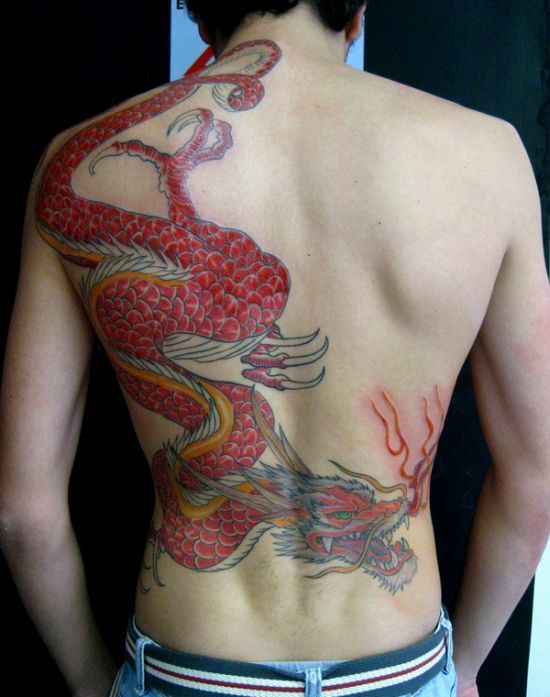 Most of the back dragon designs seen in today’s post resemble an artists canvas of work where he has played with bright color combos and designs that involve this mighty creature spouting fire flames or seen engulfed in some kind of mythical war. 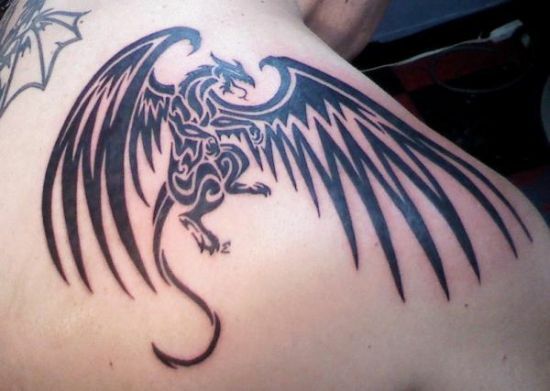 Most of these back dragon designs involve the use of red and black colors with ornate wings and intricate scales seen marked on the creature’s body. 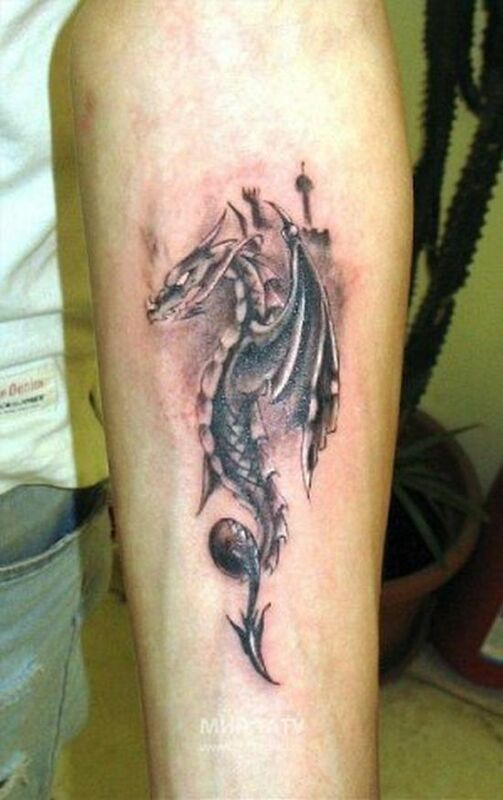 There are other places that look equally grand when tattooed with dragon tattoo designs such as the leg, calves, forearm, hands and sleeves. 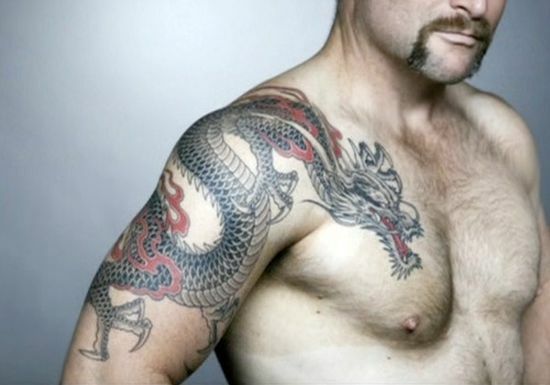 Men prefer to ink these creatures on their upper arms to flaunt masculinity. 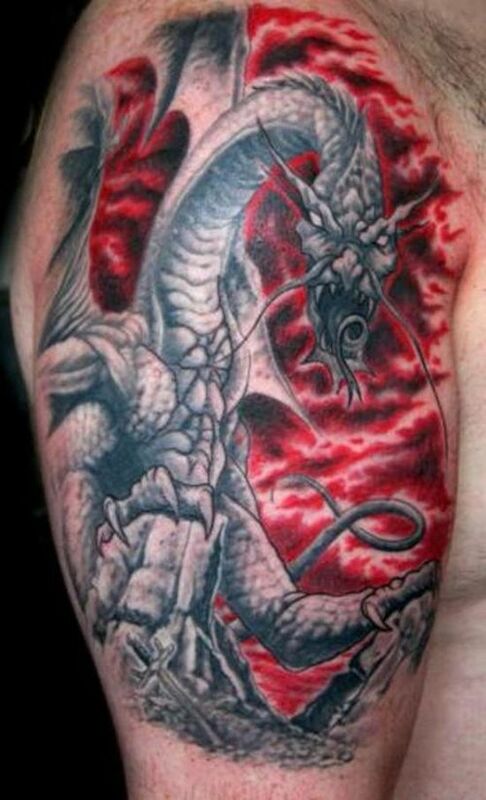 The foot dragon tats too look awesome as you can see from some of the images below. 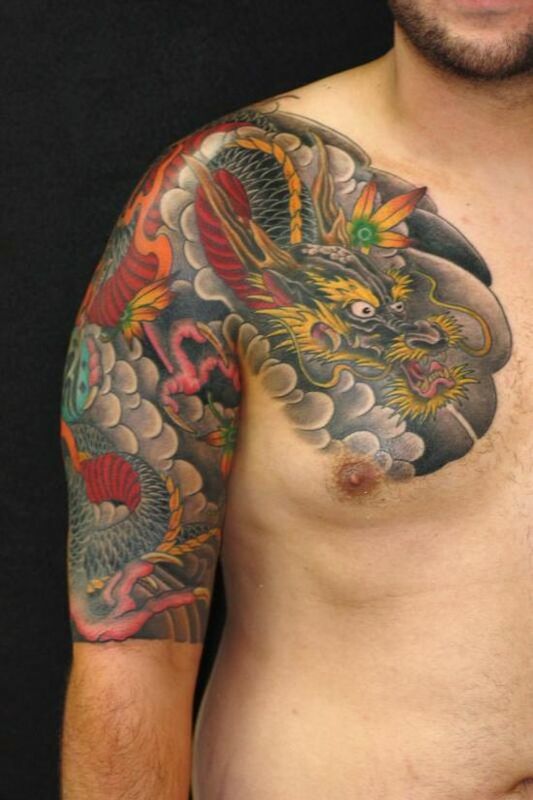 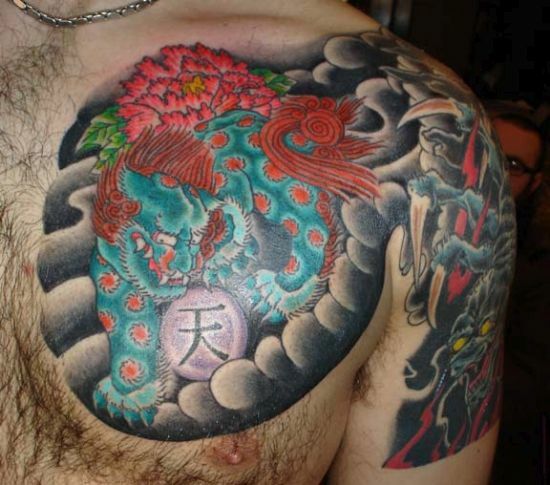 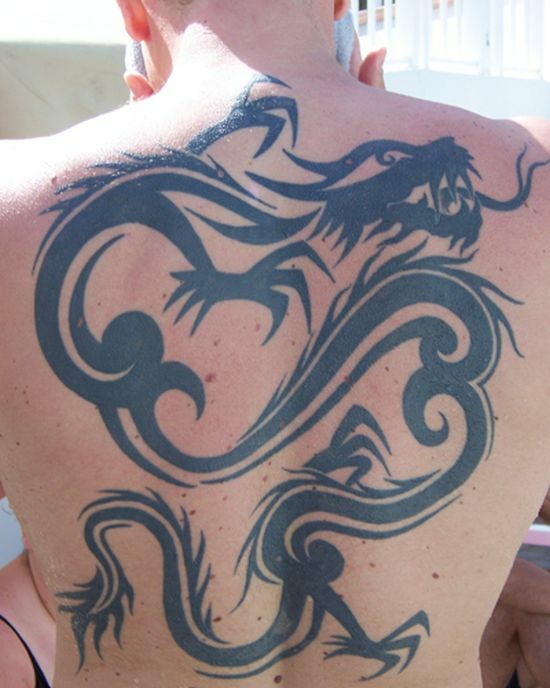 Among dragon tattoos for men, there are tribal designs too that look attractive and very appealing. 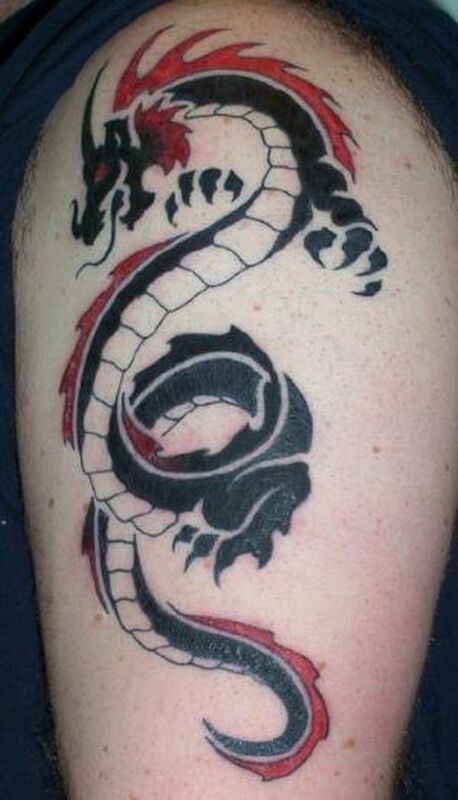 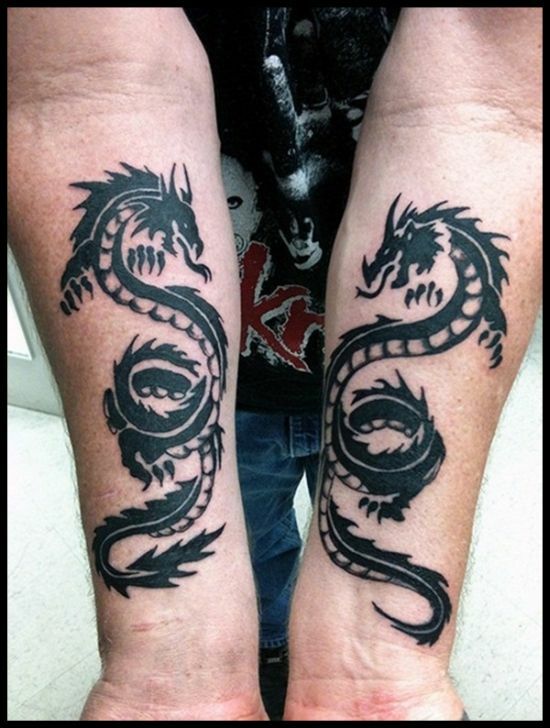 Tribal designs have a unique appearance with black being the main color used to ink the dragon motif. 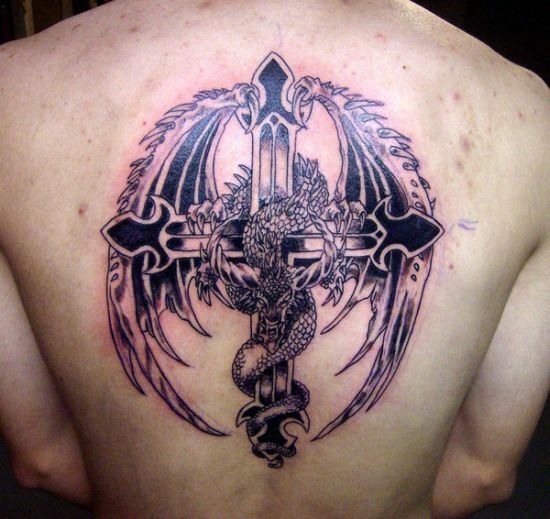 The work on such motifs is fine and looks very creative. 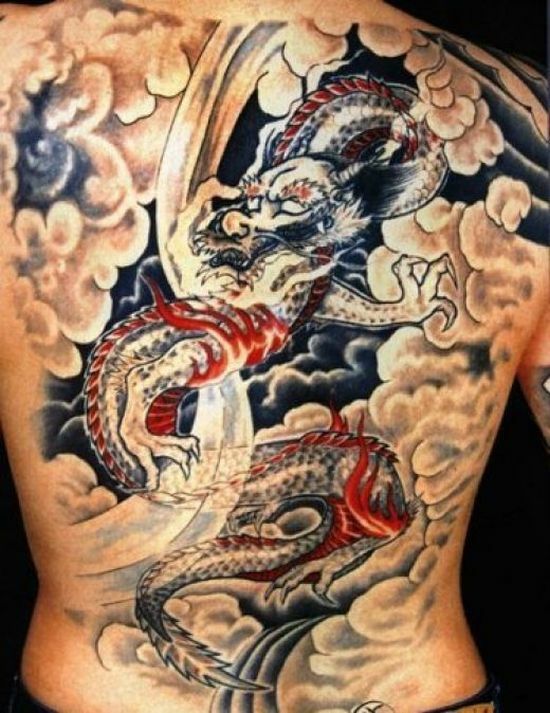 Japanese dragon tattoos are basically engraved on a huge scale involving an eclectic mix of colors and intricate designs that often include the use of flowers, dragonflies, koi fish and greenery. 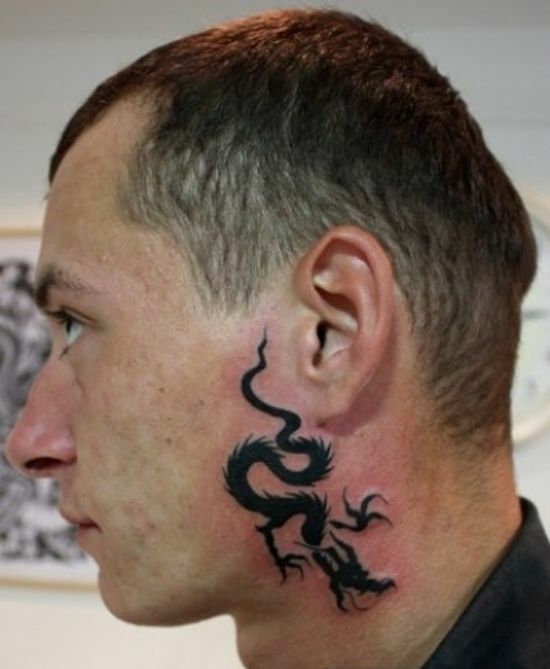 Looking at a dragon tattoo make you believe that the creature seen imprinted on a body part looks more like a snake, but with fire spouting from the mouth of the fierce creature. 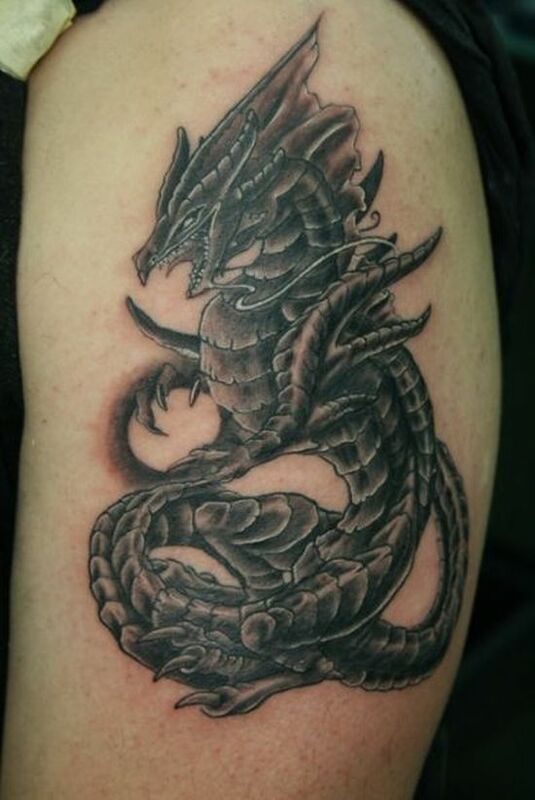 Other most common elements seen are razor sharp teeth, a huge chunky tail with scales. 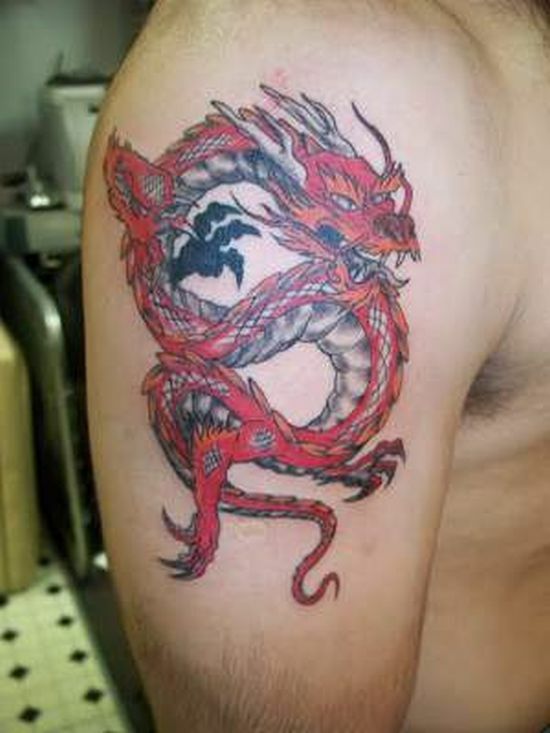 But, there are many other unusual dragon tattoo designs that look a little different, like dragons with a phoenix, engaged in a fiery battle or dragons with a cross or skull. 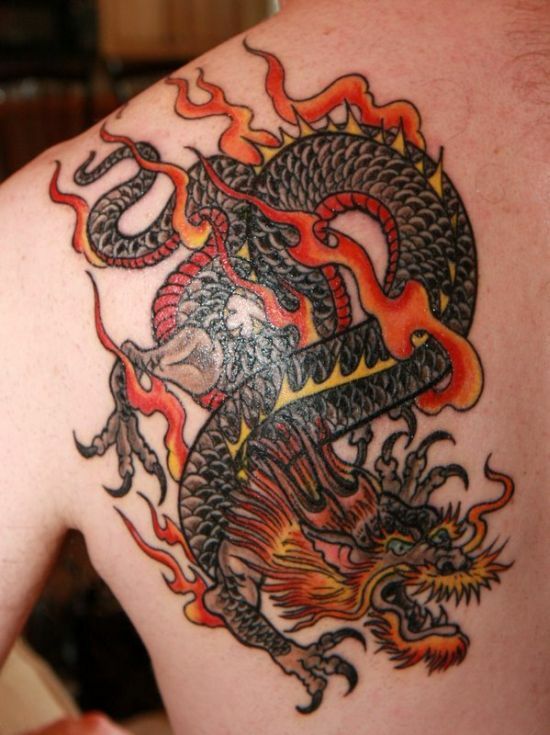 According to Asian mythological belief, a dragon also symbolizes fertility and is believed to bring good luck. 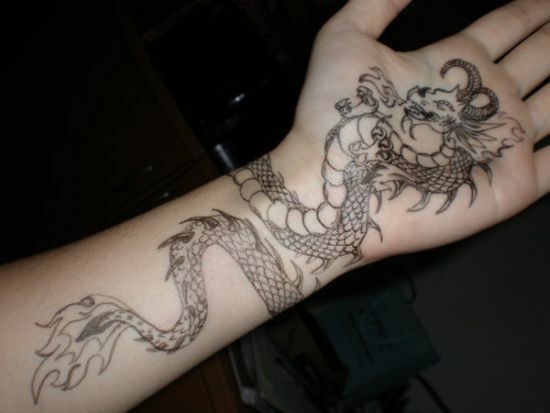 However, in western cultures, dragons have known to bring havoc and mass destruction. 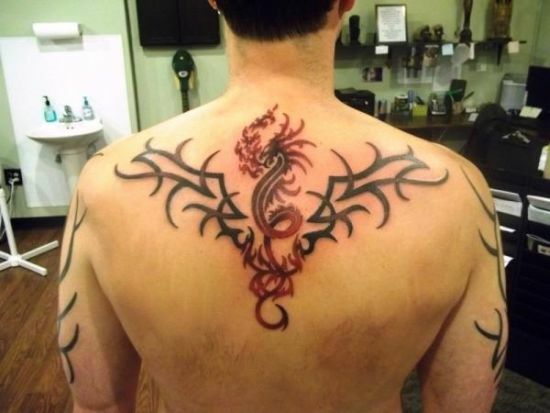 But whatever be the case, a dragon motif always manages to catch attention anywhere. 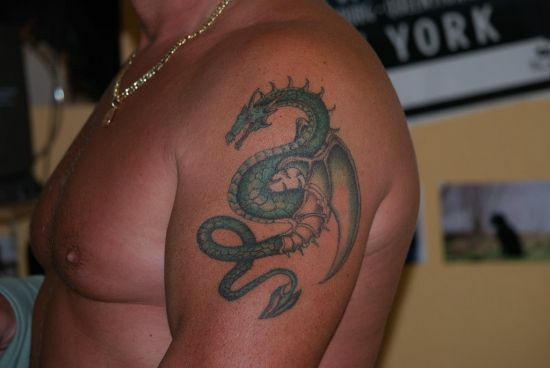 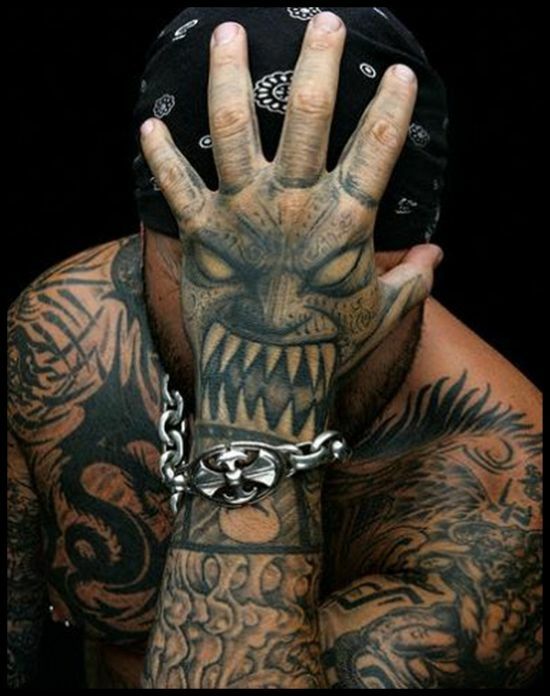 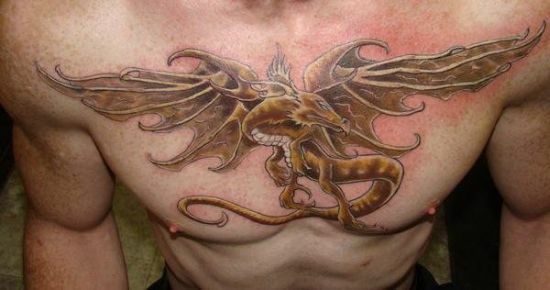 Seldom would you find a person, sporting a dragon tat, look funny as these tattoos have a charm of their own. 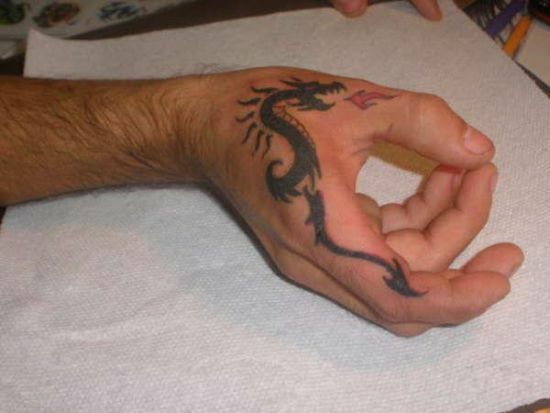 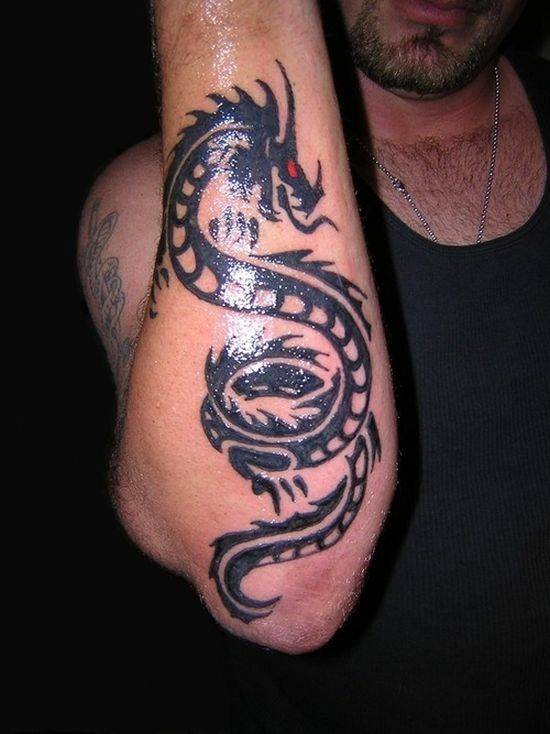 Some men prefer to get a dragon tattoo engraved on their palms, which is quite rare, but looks amazing. 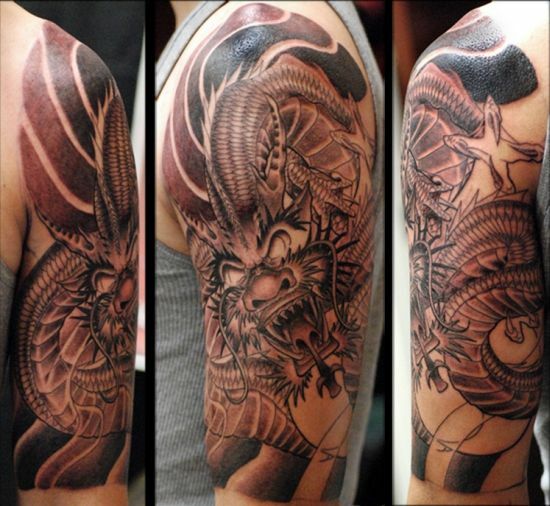 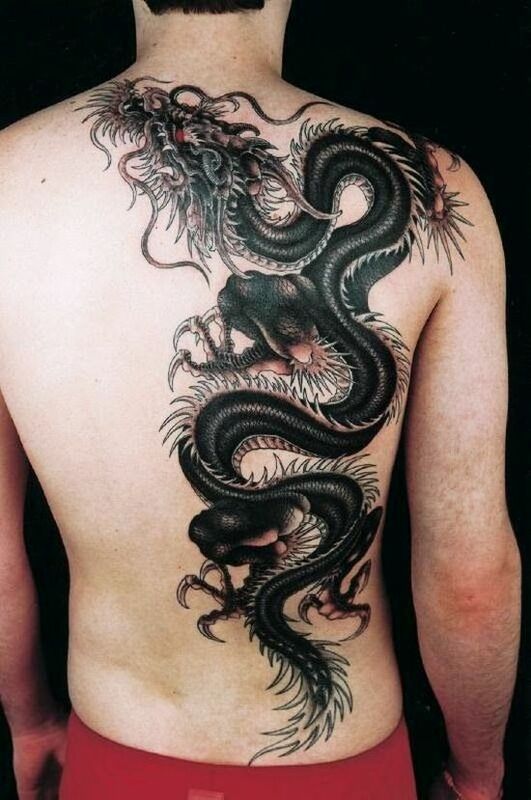 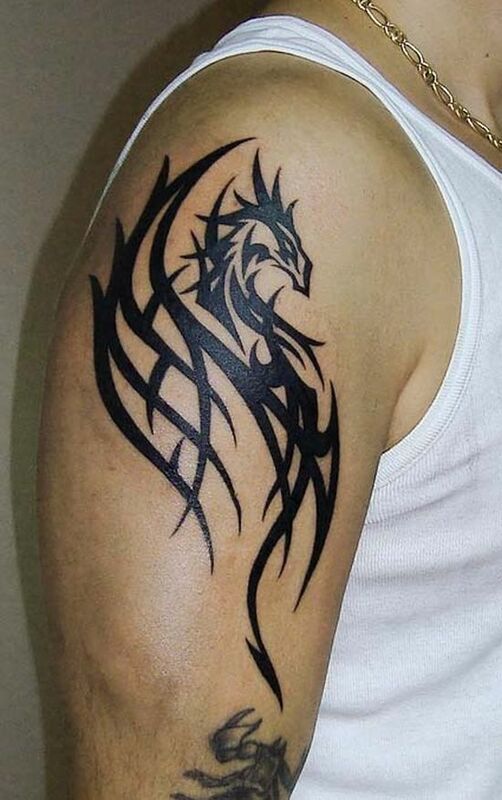 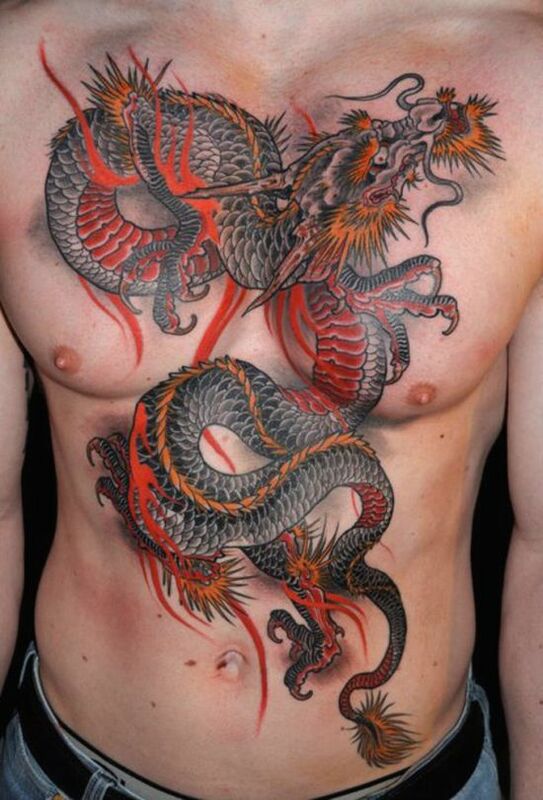 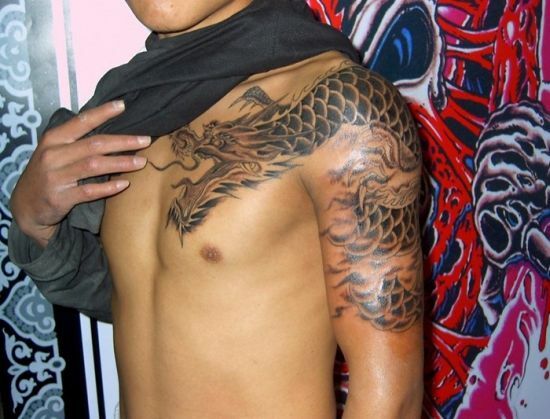 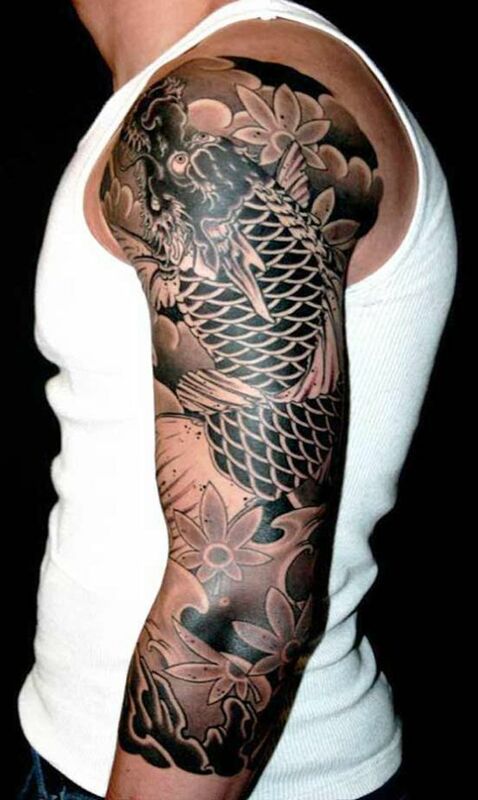 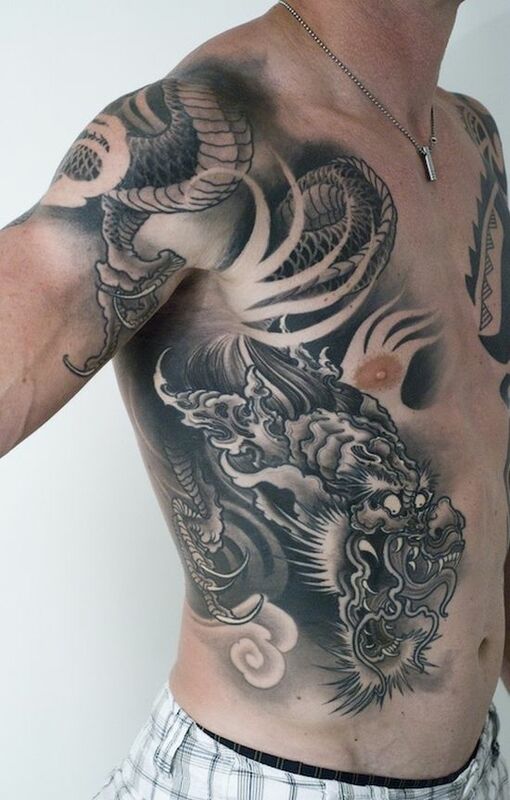 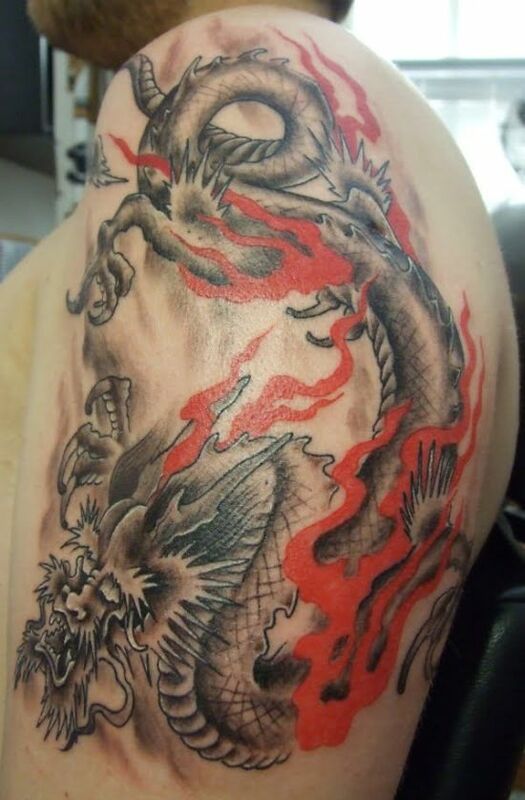 Similarly, dragon tattoos for men inked in pure black or grey ink look cool and stunning. 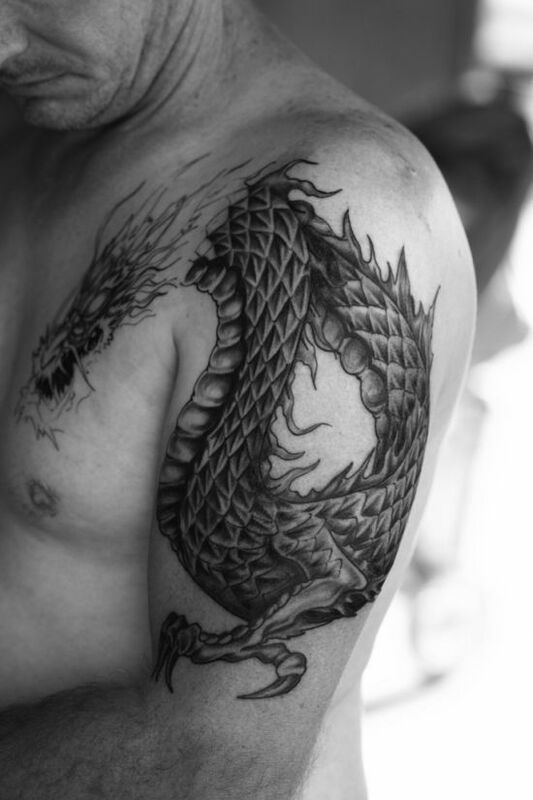 Read the post below that lists down 50 stunning dragon tattoo designs, all of which are different in appearance but have one thing in common: they look spectacular!